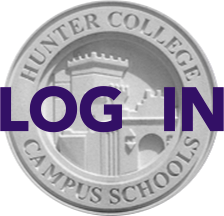 HCHS parents are invited to the 10th Annual Adam Jeffrey Katz Memorial Lecture at The Kaye Playhouse at Hunter College, from 4-6:30 on Wednesday, May 16. The Katz Lecture raises awareness about ADHD and dyslexia. From 4:00-5:00 will be a talk by ADHD expert Stephen P. Hinshaw, PhD, a psychology professor at UC Berkeley. From 5:30-6:30 will be a conversation between Academy Award-winning producer Brian Grazer (A Beautiful Mind) and Harold Koplewicz, MD, president of the Child Mind Institute, which sponsors this series. Click here for more details and to register for either talk or both.